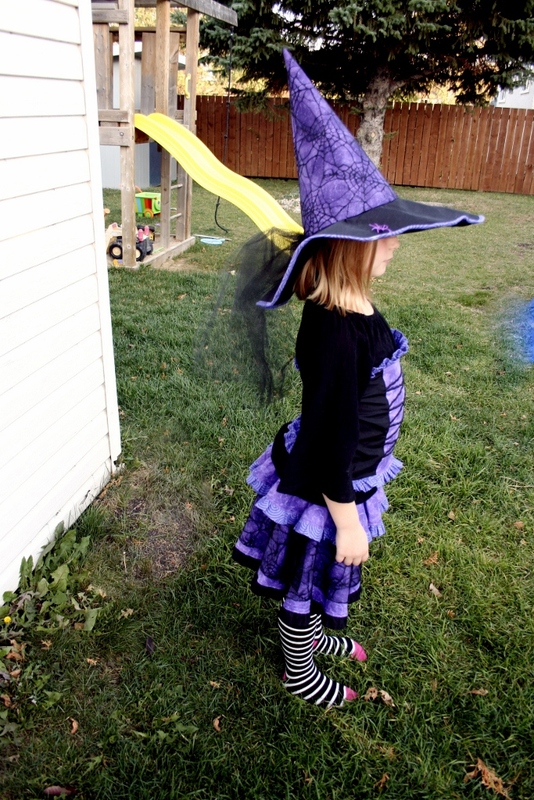 Two of six costumes are complete. My girls are ready, my boys are planned, mine and my husbands are still unplanned. My oldest daughter wanted to be a witch this year and I saw a fantastic pattern online that I thought would be perfect, but it was $32. Not for me. I decided that I should be able to recreate it on my own. She loves it and is happily wearing it as I type this up. I did find a few witch hat tutorials online and combined the ideas to come up with her hat. I almost bought one, I am glad I went with making it instead. 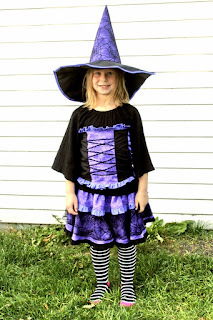 She plans to wear green witchy make-up for Halloween! 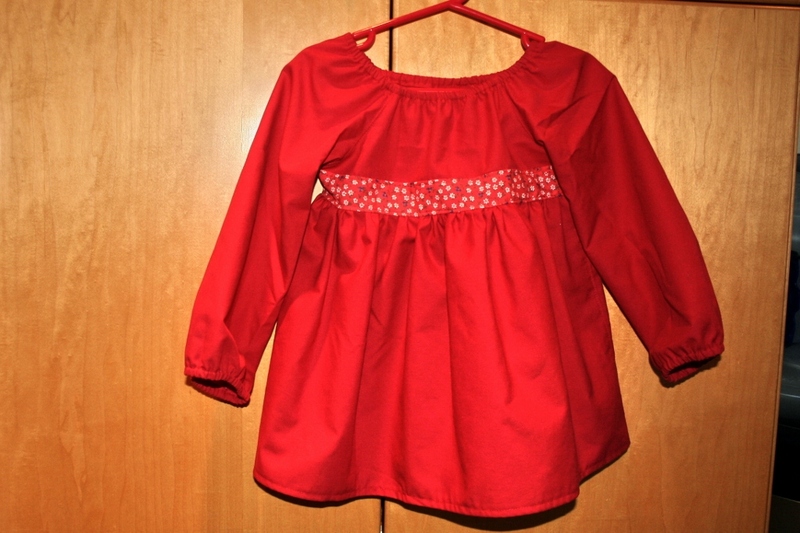 The corset top is shirred in the back. So fun to do. 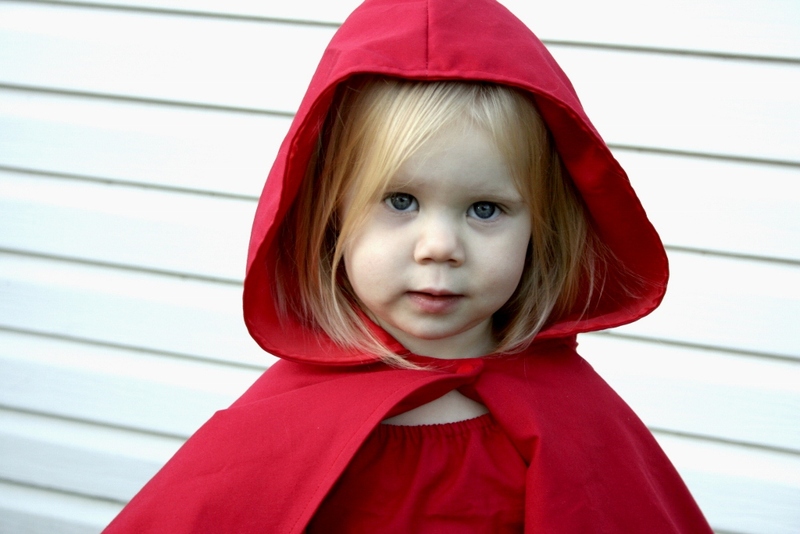 My youngest daughter doesn't know what Halloween is yet, so I got to pick her costume and if you have spent any time browsing Pinterest you have seen some amazing Little Red Riding Hood costumes. 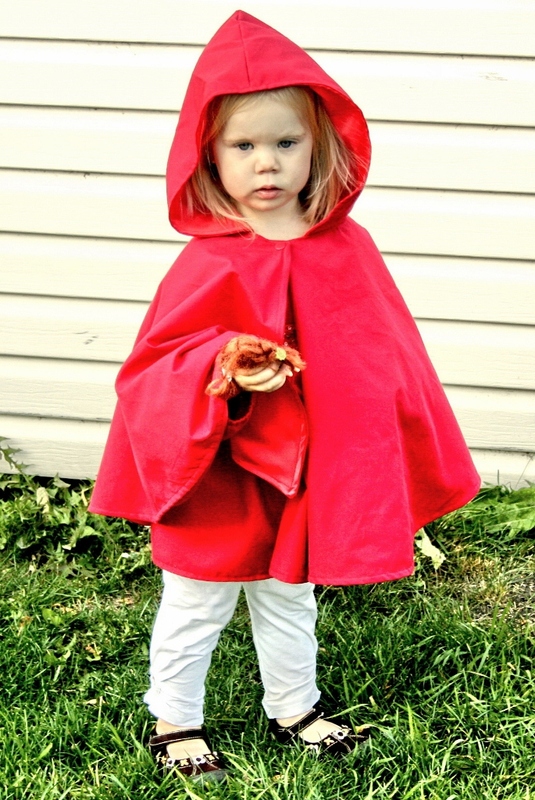 I have had a lot of red fabric at home, so I thought it was the perfect costume for my littlest girl. 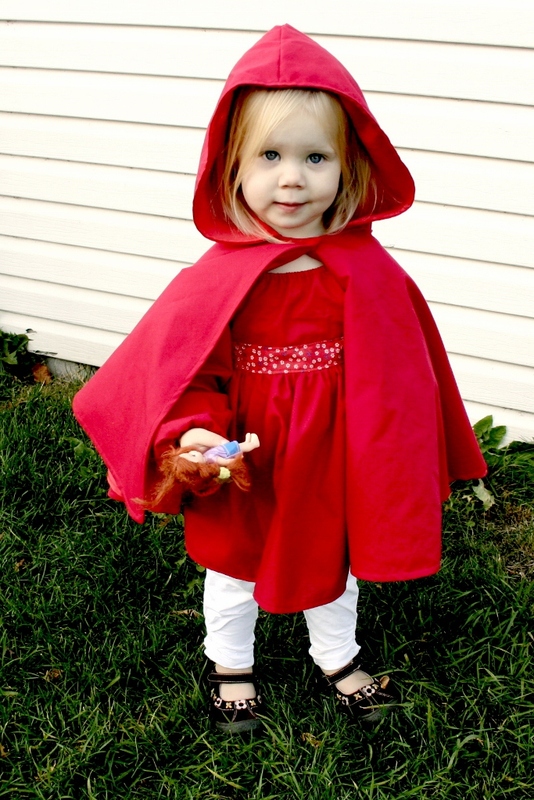 I made the cape and top, she had the perfect pants in her wardrobe. 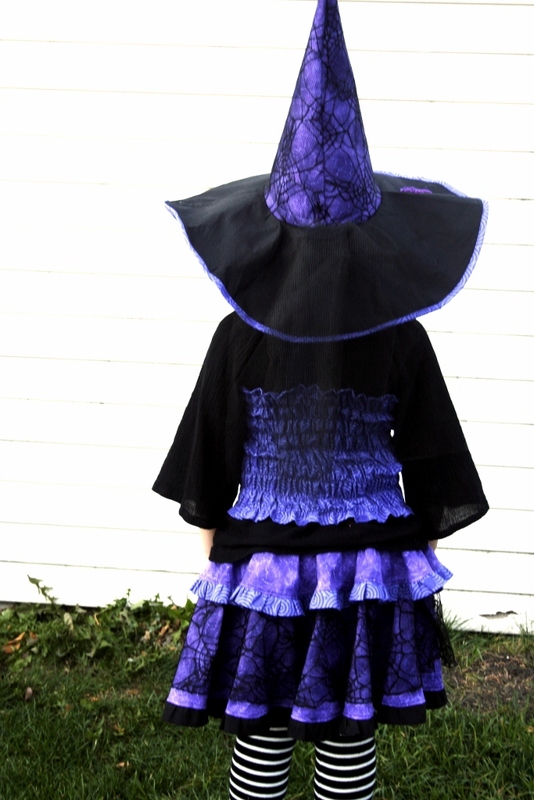 The top is made from a pattern I purchased online for another project and thought it would be perfect for this costume too. The Ashbury Peasant Top. Happy Halloween and stay tuned for the next episode.